We are proud to use only the best hair care products available when providing services to our valued clients. To extend the life of each client&apos;s experience, we offer some of the most advanced product lines from Nexxus and L&apos;ANZA: which are only offered exclusively in select salons. These products have been selected for their outstanding quality to provide you with the consistent results you demand when you visit a professional hair salon. Please call or contact us for prices. Nexxus Phyto Organics is formulated with organic quinoa protein, rare aroma therapeutic oils and exotic botanicals from around the world; Phyto Organics refreshes, restores and rejuvenates the hair. Nexxus ChromaLife is a proprietary blend of natural and technologically advanced ingredients that maintains colour vibrancy up to 5 times longer! L&apos;ANZA is the only company creating Healing Hair Care products that heal the hair. With the increase of chemical processing, thermal styling and environmental aggressors, over 80 percent of salon clients today have damaged hair. The L&apos;ANZA formulations contain the most advanced ingredients to heal the damage and renew hair. 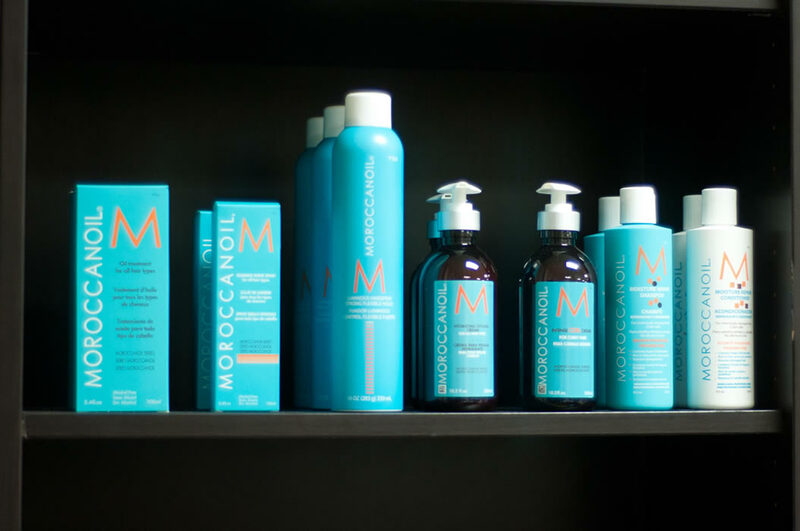 Moroccanoil® is an innovative hair care line sold exclusively in salons by salon professionals. Moroccanoil® has created a revolutionary line of styling, finishing and conditioning products for hair that will guarantee an enhanced result. Hair will look and feel healthier after just one application. Eufora products are exclusively sold through independent salons, as they have been since day one. Eufora HERO for Men is designed for the selective man who deserves to look as good as he feels. You can count on Eufora to deliver substance without hype, because when it comes to quality, we believe there are no compromises. 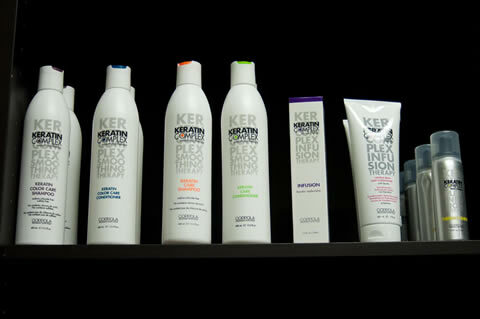 Since our launch in 2007, Keratin Complex has led the way with innovative technology and amazing results. All Keratin Complex treatments and styling products are specially formulated to contain natural keratin protein, which rebuilds, restores and rejuvenates all types of hair. No more bad hair days with Keratin Complex! KeraCare shampoos are formulated to address the cleansing needs of a variety of hair types, for salon clients with color-treated hair to those with dry & itchy scalps. KeraCare conditioners are tailored to suit a variety of needs including clients with color-treated and damaged hair, as well as those with dry & itchy scalps.